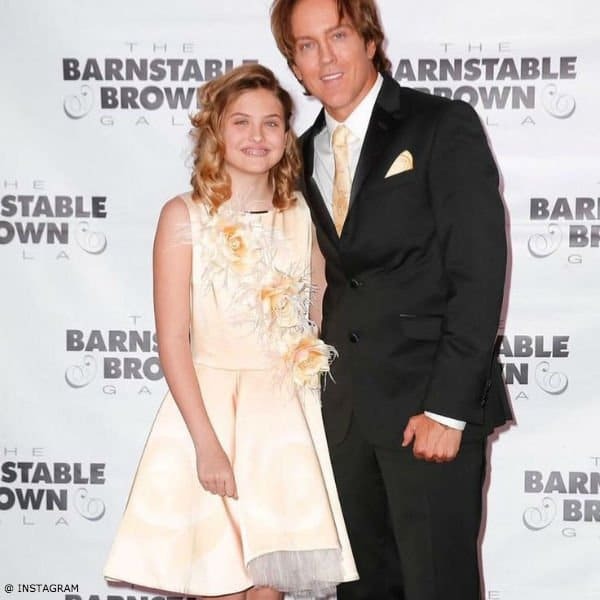 Super cute photo of Dannielynn Birkhead with Dad Larry at the Barnstable-Brown Kentucky Derby Eve Gala in Louisville wearing a gorgeous Junona Yellow Roses Dress. 11-year-old Dannielynn is so beautiful and looks just like her late mother Anna Nicole Smith. Bulgarian girls fashion house Junona has perfectly designed this gorgeous special occasion dress for little girls who love to stand out in a crowd. Made in smooth satin with a full, flared neoprene skirt layered with tulle and striking yellow rose appliqués that have diamanté centers twinkling in the light. 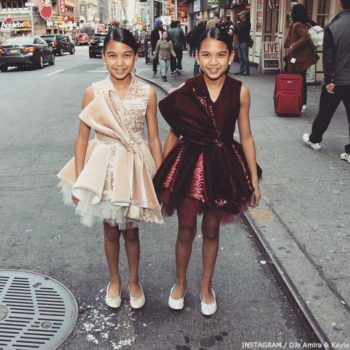 Perfect for a flower girl dress or red carpet event.